Looking for quality domestic or commercial liquid screed companies to provide a smooth, level surface floor? Contact us now for a free quote. 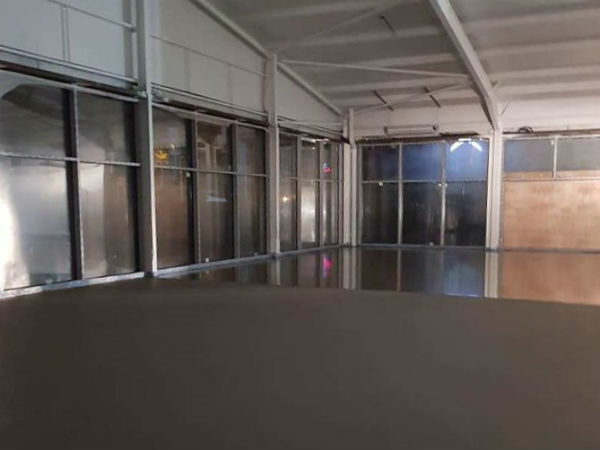 Why use our liquid screed service instead of traditional sand and cement screed? Quicker to install. Install 10x more per day. Faster setting with less shrinkage and cracking. Walk on it after 24hrs, rather than 7 days. Better thermal values, especially when used over underfloor heating. 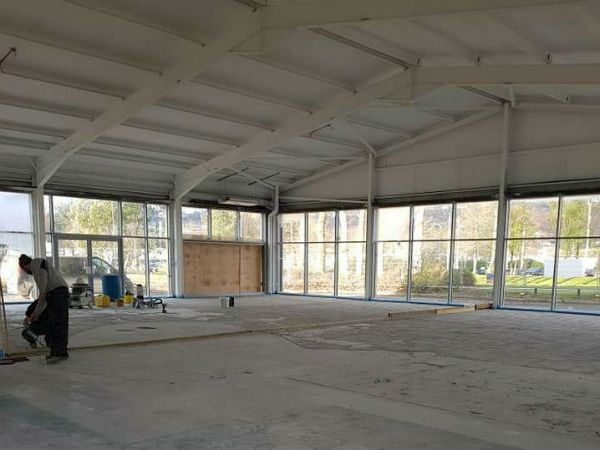 With a reduced depth of liquid screed required to cover over underfloor heating, this allows for an increased thickness of insulation underneath and reduced floor screed to heat up, resulting in a more heat responsive system. 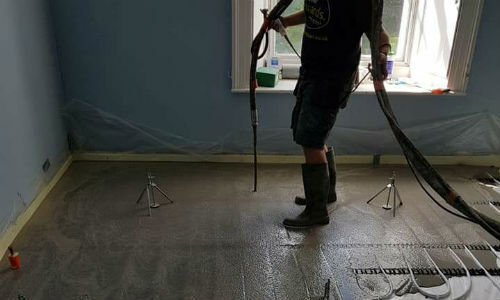 Weber Bagged – Super fast drying liquid screed. Prepared and completed using Weber Bagged screed in 1 day! 24 hrs and it is ready for tiles to be laid.